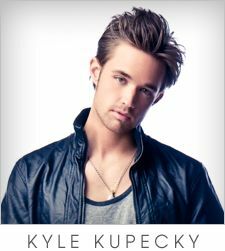 Kyle Kupecky announced yesterday that he is leaving Anthem Lights to pursue a solo career! I am definitely going to miss his awesome part of Anthem Lights, but I am equally as excited to hear new music from him soon. Also, be keeping your eyes on the band's Facebook page, where they will be announcing the replacement member later this week! When I found out that my favorite person from Anthem Lights was leaving I lost it. I cried for literally 5 days straight.